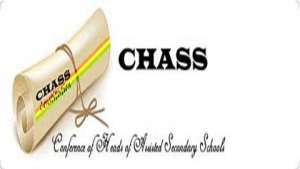 Former Secretary of the Conference of Heads of Assisted Secondary Schools [CHASS], Felix Essah, has commended the West African Examination Council [WAEC], for changing the schedule of the West African Senior Secondary School Certificate Examination [WASSCE], from February to April. Speaking to Citi News, Felix Essah said the decision will benefit students because it will give teachers enough time to complete the syllabus. “When the Minister of Education decided that he wants to listen to public concern and bring the examination to the third term, I thought it was a good idea. It is a laudable thing, and I commend the Minister for that,” he said. According to him, many school heads have also complained about not having enough time to complete their syllabus, and that the decision of moving the date forward will go a long way to help both teachers and students. Head of the West African Examination Council , Rev. Samuel Ollennu, on Tuesday announced the change in time for the exams to April 3rd, following months of deliberation with the Ministry of Education and other stakeholders. “We are here to inform you about the forthcoming examination, which this time around is not starting n February, but on April 3. Formerly, we were going to start in February but the government appealed to us not to”, he said.